This limited edition distinguishes itself from the others through its dial. Bell & Ross introduces an appealing combination that makes two worlds meet for the first time. 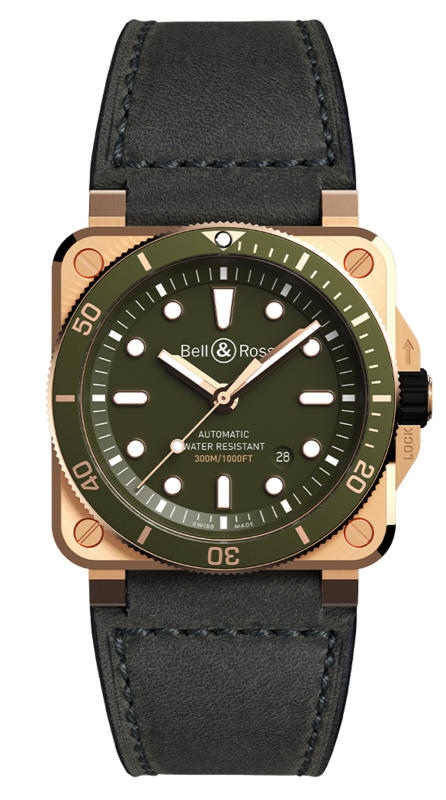 The alliance of Bronze–the diving industry’s metal of choice– and olive green –mirroring the color of the military camouflage uniform– works beautifully together, giving it a neo-retro and rugged look.